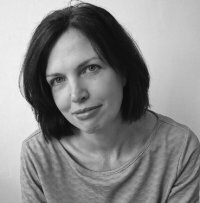 Those of you who know Kathryn Simmonds from her (brilliant) first two collections of poetry, Sunday at the Skin Launderette, and last year’s The Visitations, might well be surprised by Love & Fallout, her first novel. It isn’t that it’s good, it’s that it’s so good. It’s not peculiarly common for poets to be able to manage a novel, and novelists vice versa. The structure and the rhythm of each genre is different. Sophie Hannah has done it (but I still think she’s a stronger poet); Adam Foulds has (but I don’t think he’s a successful poet, and I don’t mean as in reputation: he won the Costa. I just think his poetry is over-rated). Helen Dunmore does both (I like, guardedly, both genres by her). I know one could go on (yes, Plath; yes, Lawrence; yes, Hardy, although Hardy was interesting in that he effectively stopped the novels and turned on the poetry instead). But this is no jobbing poet’s novel. It’s an arresting debut, quite the match of (and in a curious way, related to) Marina Lewycka (A Short History of Tractors in Albanian, Two Caravans, Various Pets Alive and Dead). I’ll come back to the problematic title at the end, but it’s intended to tell us there are parallel experiences – that of Tessa Perry, a forty-eight year old mother and wife whose relationships with both her husband and daughter are fracturing (her teenage Goth son is rather more amenable), and whose best friend has just persuaded a TV makeover show to give her a lift she doesn’t need or want. Or does she? The doubts that are filtered through Tessa’s perceptions of what is around her (it’s all told by Tessa) are really skilfully handled, handled with a wit that is very like the wit in Simmonds’s poetry. Simmonds is an ironist. She doesn’t do the ridiculous: she stages scenes so that the dialogue is teasingly on an edge between thoughtful and the comic (dialogue and structure are two of her strengths). Once she has established Tessa, who agrees to go along with the makeover because it will give television airplay to a campaign against the local common land being prepared for developers, Simmonds starts the novel on a gentle oscillation between the 1980s and the present. In the 1980s, Tessa has been dumped, has been a university refusenik, but has found some self-respect by joining the Greenham Common peace campaign. This is laugh-out-loud but mockery-free. It’s a wonderful talent to depict absurdity without ever lampooning it, and the trick is the believability of Tessa. Tessa is a far from perfect individual, but she has good, honest doubts about everything, and her seriousness (and innocence) make her an expert narrator. Unhappy in the present, ill-equipped in the past, Tessa is nevertheless an engaging presence. The Greenham months (the novel switches exclusively to them at one stage) are documented as a kind of rite-of-passage tale. Tessa experiences all kinds of conflicting emotions, including the important one, love; we are shown how Tessa finds out what satisfies and dissatisfies her, and what helps us understand her edginess in the present. It is a dissatisfaction that goes much deeper than having her friends suggest she is the next best thing to a bag lady. Emotionally, she is tethered to the past, although the Greenham experience is a tag she would rather not wear. For her, Greenham has been about love above all else. One of the pleasures of reading Love & Fallout is the inventiveness of the language. ‘The nearly full moon was encircled by a fuzzy white halo.’ ‘[The cold spaghetti] has congealed, solid and contoured like a section of brain.’ ‘… the particular tang of woodsmoke, a smell like old kippers…’ ‘I pictured her face, so small and pale and closed; it made me think of a shop in sunlight with the blinds pulled down.’ For page after page, these images appear, reminding you that Simmonds is above all else an observant writer. The observation is equally good when it comes to the relationships – perhaps most brilliantly of Tess’s mother and father, but also of Tessa’s husband Pete, of her teenage children, of the well-individualised characters at the peace camp. There is not a whiff of stereotype anywhere. Even the TV makeover queen is deftly handled, silly but believable. And Simmonds (whose research is impeccable) also lobs in treats, such as that the now-ubiquitous absolutely was posh-child speak in the early 1980s. I had deep-sixed that in my brain. The novel is also remarkable for the way it fuels itself with narrative lines. As the present and past intertwine, we bare led to speculate about several aspects of the future. What will become of Tessa and Pete’s marriage? What will happen to Tessa’s relationship with her daughter? What will become of her latest project (Tessa is constantly taking on new challenges)? How will the past reach forward and snag her (when it does, in reuniting her with one of the most testy Greenham women, everything is a brilliant surprise)? What is the real nature of the friendship at the camp with Rori (short for Aurora), the relationship that makes her have a powerful emotional flashback when glimpsing a girl of twenty, Rori’s age at the camp, at a swimming pool – the incident that triggers the unfolding of the story? Simmonds braids all these plot-strands together with panache. 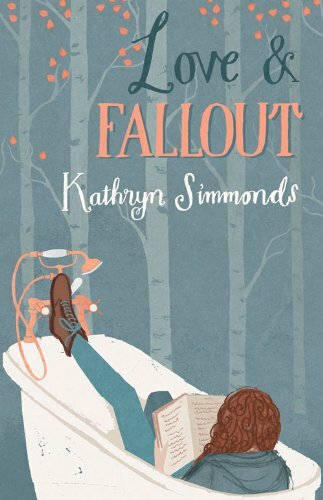 The cover of the novel is an invitation to chick-lit readers, I think – the curly shower, the suggestion of wallpaper, the pastel shades; and I’m not sure that ‘Fallout’ works, as the pun on nuclear fallout doesn’t really work at the Greenham end. But it will be a great pity if readers give this a miss because of supposed genre. This is a fantastic novel – so sure of its ground, so astute in its understanding, so emotionally true, and all this with a light, deft, amusing touch. If this is chick-lit, or a women-only novel, then I am a hobbit. My favourite novelist is Liz Jensen, and structurally, this first novel (for that’s what it, unbelievably, is) is quite the equal of early Jensen. This is perhaps the first novel to feature Stevenage (!) but I think it deserves first-novel plaudits, and prizes, and above all, as many readers as hope to find themselves happy.